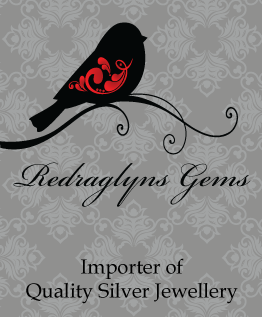 Redraglyns Gems will be supporting the Capella Christmas in July market with a vast array of jewellery available for purchase. Credit Cards, Cash and Redraglyns Gems Gift Vouchers will be accepted. This is a chance for customers to meet Redraglyns Gems owner, Deanne Ward in person and view all our stunning sterling silver jewellery on display. The online webstore will be temporarily closed during this time. Featuring over 100 stalls, food, entertainment, demonstrations, kids’ corner, cent sale and more. A wonderful community event held each year in Capella. This year C&K Capella Early Childhood Centre and the Capella Primary School is hosting this wonderful event together, money raised will go towards helping improve the facilities for our children. Redraglyns Gems will again be supporting GEMFEST with a vast array of jewellery available for purchase with some items being exclusive to GEMFEST. This is a 4 day event and the online webstore will be temporarily closed during this time. Gemfest offers a four-day celebration filled with an exciting array of fun and entertainment for the whole family. From gem displays and exhibitions, music and live performances, dedicated children’s entertainment area, gems and jewellery on sale, and lapidary and equipment supplies for the gem enthusiasts, the Festival truly has something for everyone. Paradise Lagoons Campdraft is Australia's premier Campdraft, conducted over four days in a world class venue. In true Outback style, it features the exciting sport campdrafting, family entertainment, and social events for all ages. The four day program provides dawn to dusk, edge of your seat competition as riders from all corners of the nation test their skills to take home a share of up to AUD200000 in prize money. Ladies flock to their annual Ladies Luncheon, and spectators from all over attend their highly anticipated event, the State of Origin Campdraft. Visitors to the event also spend their time walking through their outdoor Trade Fair, which exhibits a wide range of local and rural markets, from modern stock handling equipment to handmade handbags, jewellery and fashion. Their family-focused event provides something for everyone whether you are a local, or visiting the Capricorn Coast region on a holiday. Today is Redraglyns Gems 10th Birthday! !